The "Athletics" name originates from the late 19th century "athletic clubs", specifically the Athletic of Philadelphia. They are most prominently nicknamed "the A's", in reference to the blackletter "A", a trademark of the team and the old Athletics of Philadelphia. This has gained very prominent use, and in some circles is used more frequently than the full "Athletics" name. 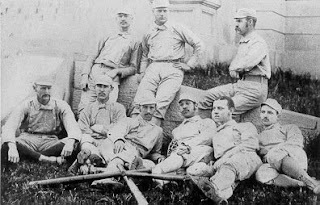 They are also known as "the White Elephants" or simply "the Elephants", in reference to then New York Giants' manager John McGraw's calling the team a "white elephant". This was embraced by the team, who then made a white elephant the team's mascot, and often incorporated it into the logo or sleeve patches. 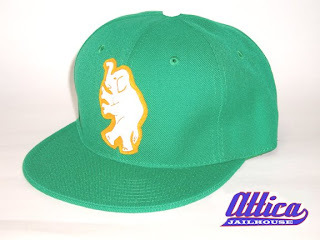 The Oakland Oaks were a minor league baseball team in Oakland, California that played in the Pacific Coast League from 1903 through 1955, after which the club transferred to Vancouver, British Columbia. 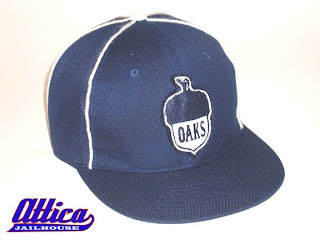 The team was named for the city and used the oak tree and the acorn as its symbols. 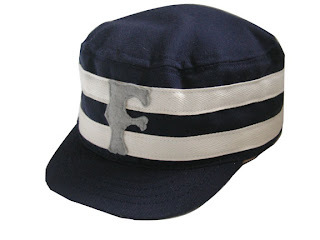 In 1916, a struggling Oaks team made history by (inadvertently) breaking the professional baseball color line, as Jimmy Claxton pitched in both ends of a double-header on May 28th, 1916. He was introduced to the team as an American Indian, but once the team discovered that his ancestry was both Native American and African, he was fired.